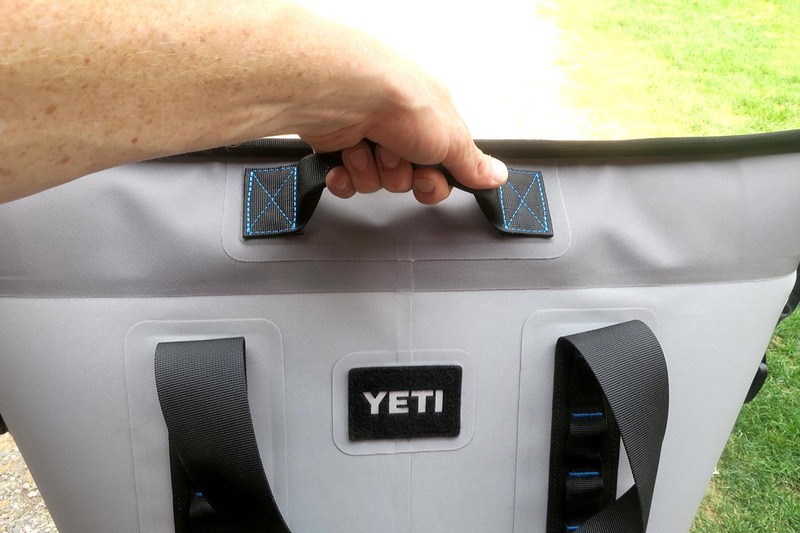 YETI, makers of the legendary tough, rugged white coolers that you’ve most likely seen on the river or in the back of a pickup truck has created a more user-friendly portable product. The YETI Hooper Two Cooler can go with you on just about any outdoor adventure best of all it’s able to easily fit inside a vehicle. You might be asking yourself is this soft-sided cooler any good? Better yet what about the durability, does the Hopper Two hold up to YETI’s reputation of making pretty much indestructible coolers? This Yeti Coller was designed with materials similar to what you can find on a high-end whitewater raft. Waterproofness is a given considering this cooler is made to keep things cool. 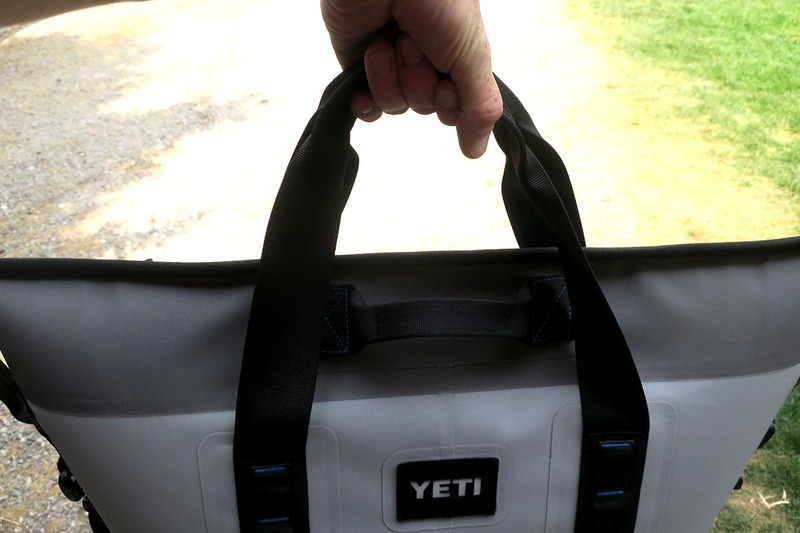 DryHide, the outer fabric on the YETI Hopper Two is puncture resistant, able to block UV rays and is even mildew resistant. 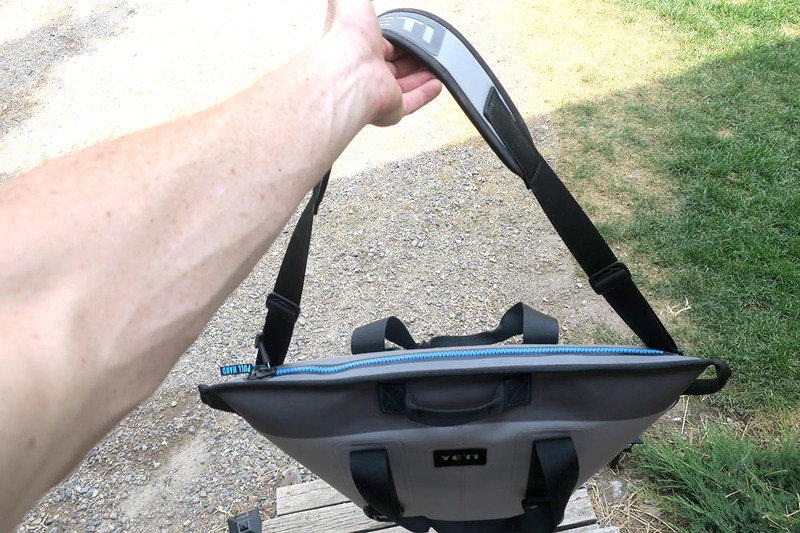 I tested the durability of the DryHide outer fabric on the Hopper Two by throwing the cooler into the back of a pickup full of gear, including broken glass, trash, tires and a bunch of other crap. Even with all the abrasive materials, the YETI looked like it was still brand new after being rattled around in the back of the truck. With this toughness comes one hiccup. The Hopper Two zipper can be hard to open and close. 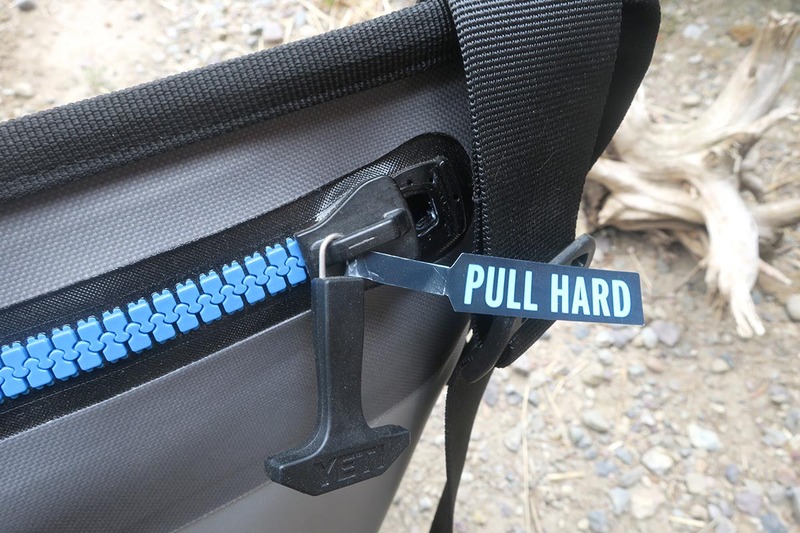 YETI put a note on the zipper that simply says “PULL HARD”. I tested this cooler on rivers in Nevada, and Wyoming so it was never exposed to salt water. YETI does include zipper lube and some instructions with the cooler. Just be sure to keep the zipper free of sand or dirt when you have the cooler open. The perfect use for this cooler is car camping, the Hopper Two can fit just about anywhere including behind your front seat. The ice won’t last as long as traditional YETI Coolers but you should already know that. The Hopper Two is a soft-sided cooler built with thick insulation, 1″ on the sides and 1.5″ on the bottom. The 29.8 qt size can hold up to 23 cans of beer, so you may have to drink a beer out of your 12 pack to make this work? I don’t drink beer so I didn’t test that part out, what I did do is pack the cooler full of food, ice, and even some ice cream. The cooler is simple to pack and even easier to get things out. One way you can keep food and drinks cooler even longer is by adding the YETI Ice Packs available in 4 LB, 2 LB, and 1 LB sizes. The Hopper Two has a dry weight of 5.5 LBS so be sure to keep that in mind when adding YETI Ice Packs or blocks of ice as the weight will start to stack up quickly. This is where the shoulder strap mentioned above really comes into play as carrying the Hopper Two when full takes some getting used to. If you’re looking for a cooler to hike deep into the backcountry with, the Hopper Two is not for you. 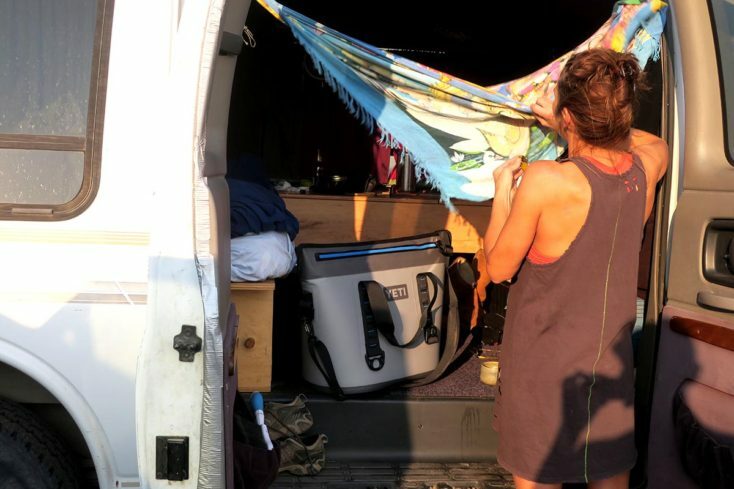 However, for anyone that wants to keep beverages cool for a day on the river, or food fresh for car camping – picnicking the YETI Hopper Two ($299) is a solid cooler. YETI also makes the Tundra 45 hard cooler which has about the same capacity, is more durable and will keep ice frozen for longer. The 7.4 Gallon Hopper Two Cooler is currently available in 2 colors ways, FIELD TAN/BLAZE ORANGE and comes with a 3-year warranty.